Everyone needs a break. 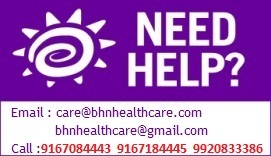 BHN Healthcare provides you a temporary rest from caregiving, while your loved one continues to receive care in a safe environment. Using our respite services can support and strengthen your ability to be a caregiver. What is Respite Care and Why is it Necessary? Respite care is a temporary arrangement whereby you can leave your elderly or loved ones at our assisted living facility for a period of time while you go on vacation or attend to some urgent requirement and not able to devote time to your loved one. You as a Caregiver are at increased risk of depression and other health problems as a result of the stress of being a caregiver. Having respite care can enable the caregiver to keep providing rather than burning out or becoming ill herself. What Else Can I Do to Avoid Burn Out? Providing constant care is a demanding job. It's crucial for caregivers to take a break periodically and this need is a normal part of the life-cycle of care. If you are caring for a loved one, you need to take care of yourself so that you can continue to provide that care. Finding respite care is a necessity. 3. Time to take care of errands. Emergencies, unplanned situations or unexpected trips can create a need for immediate care by an alternative caregiver. Try us out in a non-emergency situation, so you're ready if the need arises. It's a good idea to have contact information for your loved one's medical team as well as a list of all current medications (with dosage and frequency taken) easily accessible at all times.